New York, SANA- The acting charge d’ Affaires of Syria’s permanent delegation to the UN Munzer Munzer stressed Syria’s rejection and condemnation of the use of chemical weapons or any other weapons of mass destruction as a crime against humanity and an unacceptable, immoral and unjustified act under any condition. 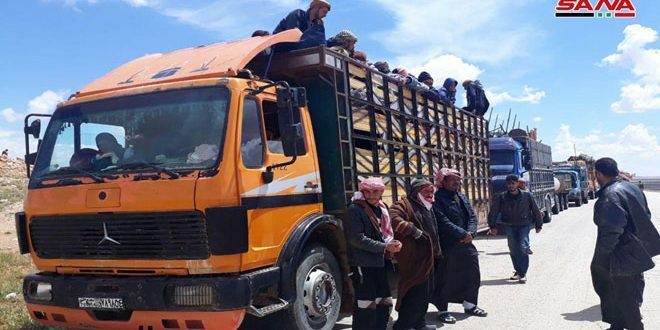 Speaking at the UN Security Council’s session on Monday, Munzer said that the Syrian people are the target of the use of those weapons and they have always been the victims of the armed terrorist groups’ crimes, affirming Syria’s keenness to know the real criminal responsible for using chemical weapons. He added that Syria has joined the Chemical Weapons Convention and fulfilled its obligations to fully and verifiably eliminate its chemical weapons program which was confirmed in the OPCW-UN Joint Mission’s report submitted to the UNSC in June 2014. 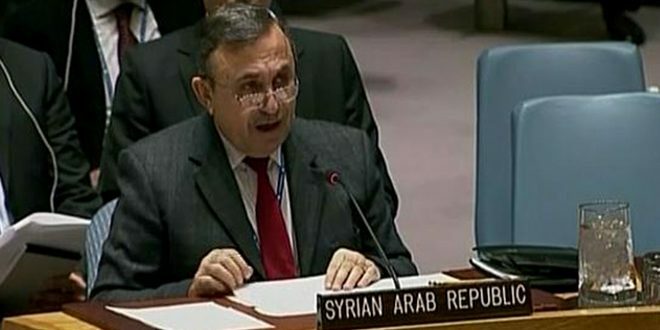 The Syrian diplomat reiterated Syria’s interest in finding the truth and its continued support to any action taken by the UN Security Council in order to reveal the truth and those who are trading with the Syrian blood and using toxic chemical materials against civilians with the aim of allegedly accusing the Syrian government of committing such acts. Munzer renewed Syria’s rejection of western and U.S. accusations over chemical attacks, stressing that they are but false allegations and cheap lies to which the same parties resort whenever the armed terrorist groups, that they support and fund, are in trouble and start to retreat as the Syrian Arab army and its allies continue their advances. “Syria confirms that the US, Britain and France bear full responsibility for obstructing the international investigation of the use of toxic chemical materials by covering the crimes of terrorist groups in Syria,” Munzer said. He added that any alleged accusation that the Syrian government used chemicals come within the framework of overlooking Syria’s repeated attempts to show to the whole world the crimes perpetrated by the terrorists and their supporters against innocent civilians as well as the evidence provided by the Syrian government to the Organization for the Prohibition of Chemical Weapons and the OPCW-UN Joint Investigative Mechanism on the terrorist groups’ possession of such prohibited materials. Munzer said that the US and its allies prevented the OPCW-UN Joint Investigative Mechanism from performing their duty as they put pressure on its members not to visit Khan Sheikhoun and convince them to rely on fabricated testimonies and evidences instead of conducting field visits and collecting real evidences, not to mention these parties’ rejection of Russia’s invitation to not politicize the committee’s work, to correct their methodology and depend on intact legal and scientific argumentations. 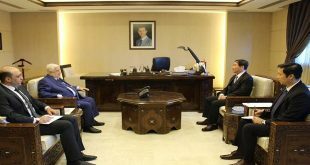 He noted that members of the Syrian Arab Republic’s Permanent Delegation will distribute the letter of the National Authority for the Implementation of Chemical Weapons Convention in response to the US allegations regarding the work of the OPCW-UN Joint Investigative Mechanism and the UN fact-finding missions in Syria. Munzer extended the Syrian government’s gratitude and appreciation to Russia and the friendly countries at UN Security Council for their sincere efforts to reveal the truth and their commitment to the principles of international law and the UN’s Charter as well as their faith that such unusual practices affect the credibility of international community and pose threat to the international peace and security. 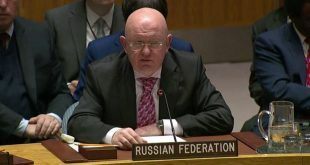 On his part, Russia’s Permanent Representative to the UN Vasily Nebenzia expressed Russia’s readiness to adopt a statement on the use of chemical weapons in Syria after making the proposed amendments since the current formula aims at allegedly accusing the Syrian government of using chemical weapons, adding that his country will not agree on any statement that is not based on reliable and verified facts. He highlighted the Syrian government’s cooperation with the international community, adding that Syria has repeatedly informed the UNSC about discovering serious chemical materials and possible provocations in which foreign intelligence apparatus may get involved, nevertheless the Organization for the Prohibition of the Chemical Weapons neglected these indications and found pretexts not to dispatch a team of international experts to Syria. 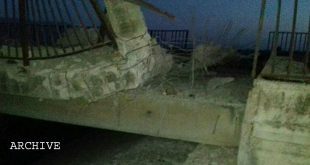 Nebenzia added that the chemical weapons in Syria have been completely destroyed by the Syrian government. China’s Permanent Representative to the United Nations, WU Haitao, reiterated his country’s support to Russia’s effort to establish a new investigative mechanism on the use of chemical weapons in Syria, calling for unifying efforts to push forward a political settlement to the crisis in Syria relying on Geneva talks and the outcomes of the Syrian National Dialogue Conference recently held in the Russian city of Sochi.